I am very happy to share the news that I will be showcasing recent work in Vancouver in June 2019. 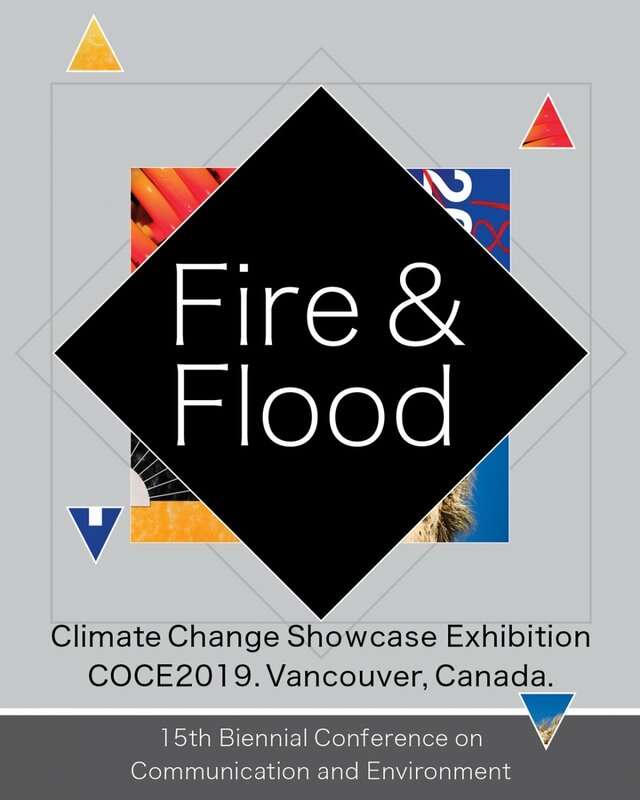 The title of the showcase, Fire & Flood, seems very relevant now given what people across Australia are experiencing at the moment. However it was back in November 2018 I put together the proposal that combined works from my Unleashing Hell (bushfires) series with works from the recent Filter exhibition (rising sea levels). Acronym alert. IECA and COCE2019 at UBC. The event is the 15th Biennial Conference on Communication and Environment (COCE) presented by the International Environmental Communication Association at the University of British Columbia, Vancouver campus. The conference will bring together scholars, practitioners, artists, students and concerned citizens from around the world to share research, good practices, experience, and stories in order to help foster more effective, inspiring, ethical, and hopeful environmental and sustainability communication. 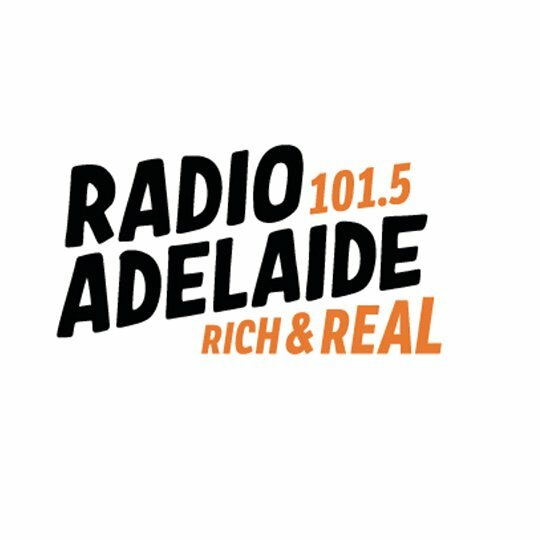 Those from Adelaide, and elsewhere of course, may be familiar with Ackroyd & Harvey who installed the series of large living portraits at Womadelaide 2018. They were Keynote Speakers at COCE 2015 in Bolder, Colorado. Over twenty countries will be represented at the event. I have seen the draft conference program (19 pages, no line breaks), but it will not be made public for a couple of months. I will share more news on this as it becomes available. And fingers crossed for the arts grant applications I have been writing day and night lately. 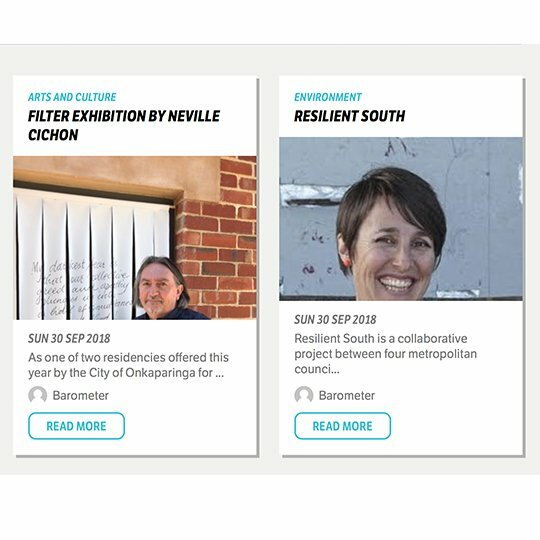 In this issue there are a variety of articles written about artists creating work in South Australia across a variety of art forms with the environment being a central theme. 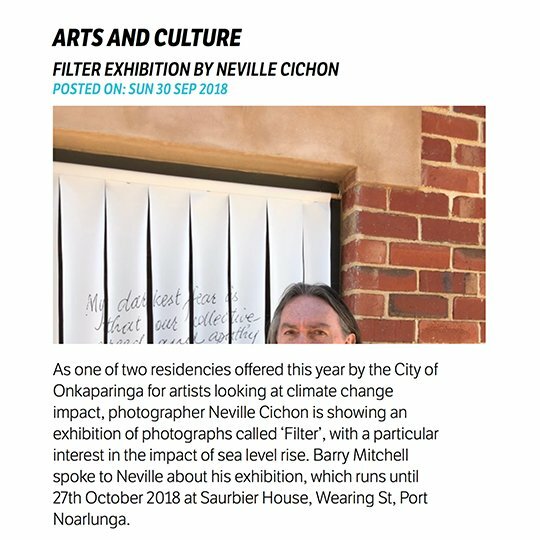 One article, The Artist as Environmental Change Agent, has a references to my recent work from the Filter exhibition. 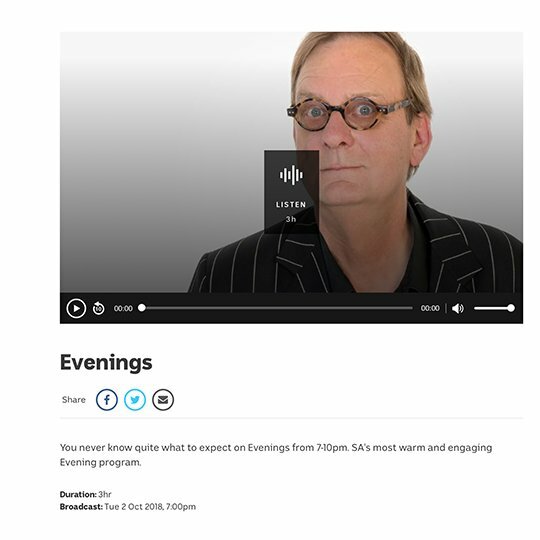 The Artist as Environmental Change Agent by Chris Reid. Go to story. 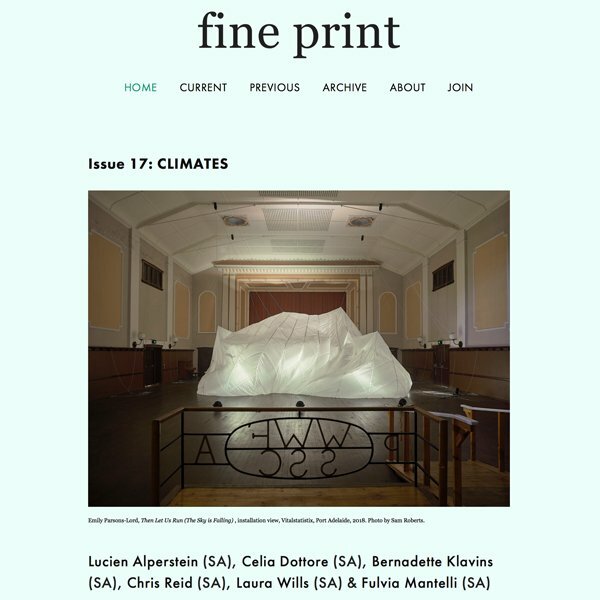 Fine print magazine, Issue 17: Climates. All stories. 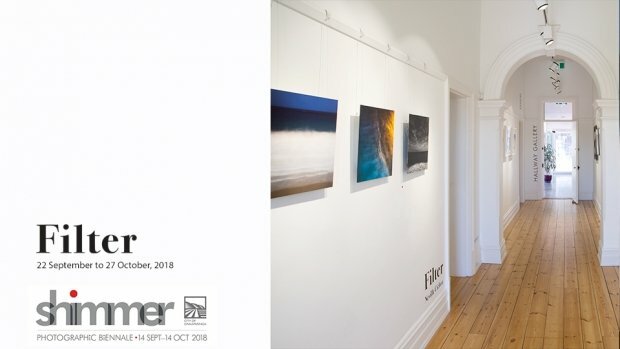 A small archive of images and text from the Filter exhibition. 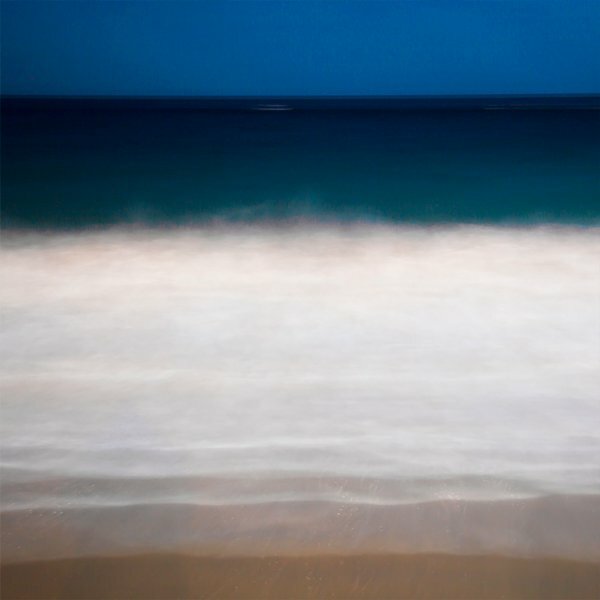 Diverse photographic methods combine to reflect the past, present and future of our changing coastal environment. 21 Wearing Street, Port Noarlunga. We often hear a lot of small numbers in relation to climate change. One degree temperature rise. 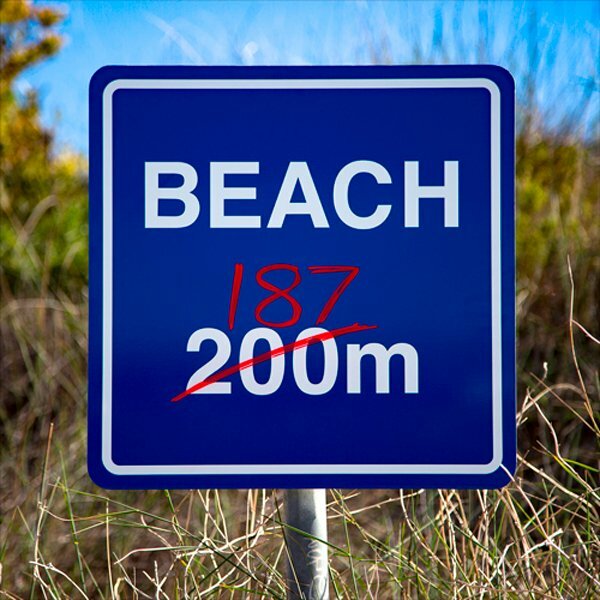 One centimetre sea level rise. but how does this translate to our own backyard? During this residency I learnt a little more about what these numbers mean and the projections for the future. 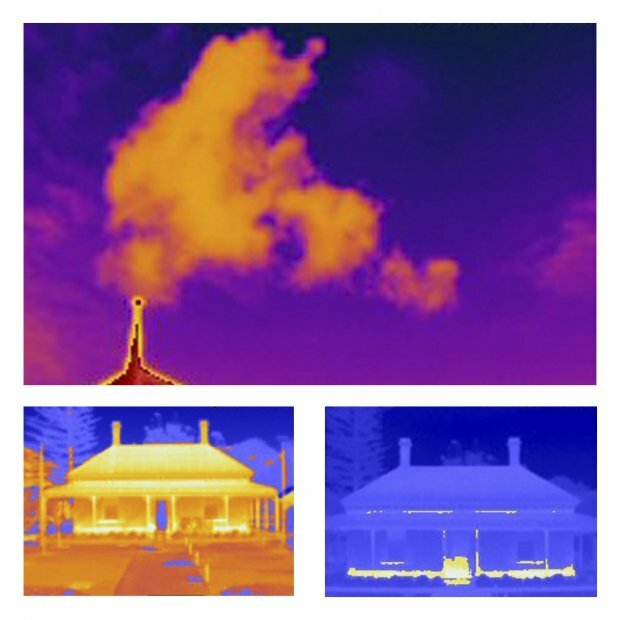 My art practice explores ways to bring an Australian perspective to the discussion on climate change. Far removed from the visuals of icebergs and polar bears, the beach is ingrained into Australian culture. These works signal the relationship between a global phenomenon and the host of our recreational or lifestyle desires. My time as an artist in residence at Sauerbier House provided an opportunity to experiment with photography and its capacity to convey ideas about the challenges ahead. For example, studio photography can heighten our connection to objects while long exposure and abstract works encourage contemplation and wide ranging interpretations. 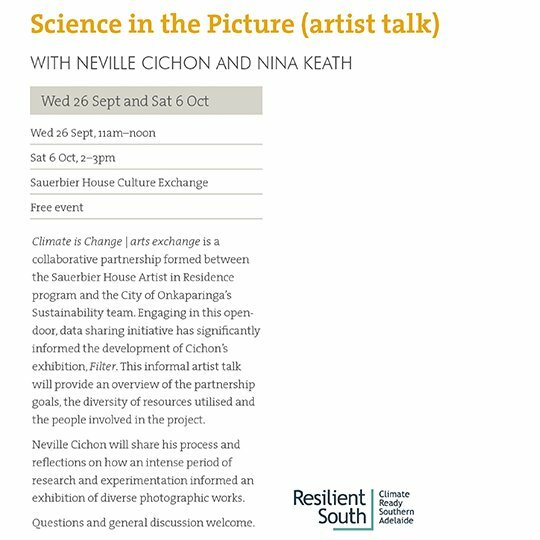 Works were created in response to information on climate change impacts sourced from specialist reports and experts on coastal management. 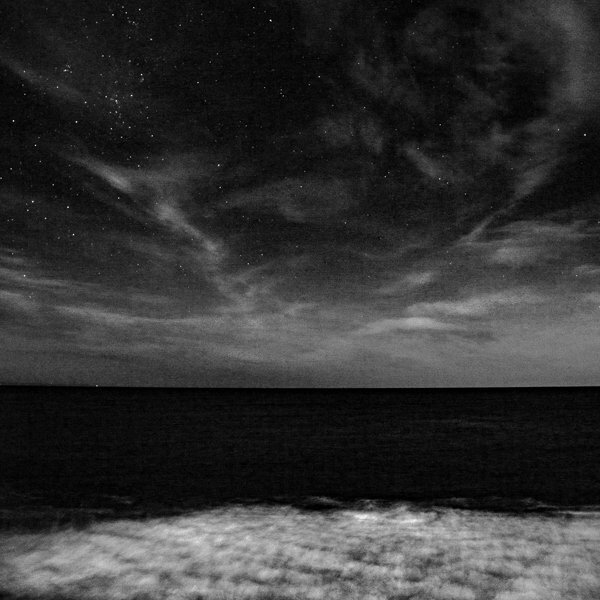 Just as important were the hours, either during the day or under a full moon, experiencing the coastline in all weather conditions. Sea levels rise with the melting of the ice caps. Warming oceans add to that rise through thermal expansion. This is a given for many people. Are we willing to see our idyllic beaches and coastal environment become a memory, rather than an experience accessible to future generations? A selection of images exhibited. In addition to the work exhibited in the Hallway Gallery the small red brick Washhouse in the grounds of Sauerbier House was used for an installation. 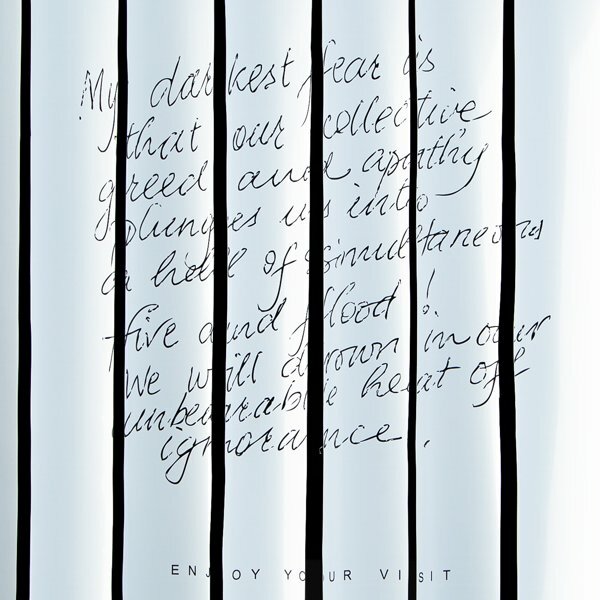 Visitors to Sauerbier House during the residency were invited to consider climate change and write their thoughts anonymously about their brightest hopes and darkest fears. 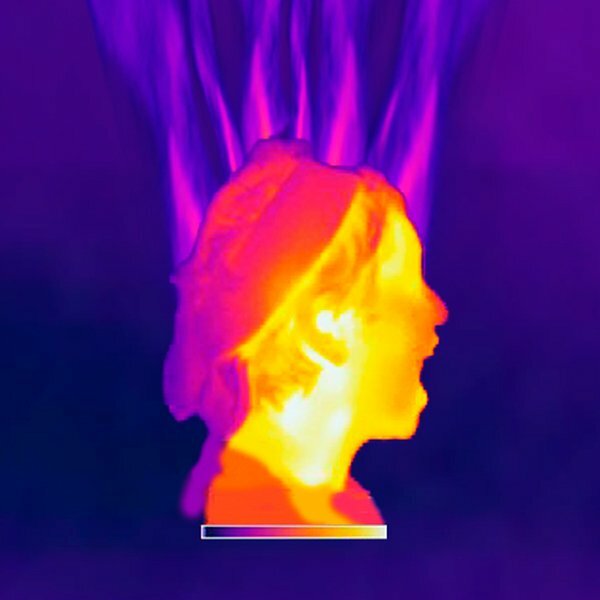 A thermal imaging camera was used to create portraits in collaboration with local volunteers. Visitors to the exhibition of the 5 weeks were also invited to make their anonymous contributions and these will collated and examined to influence a future work. 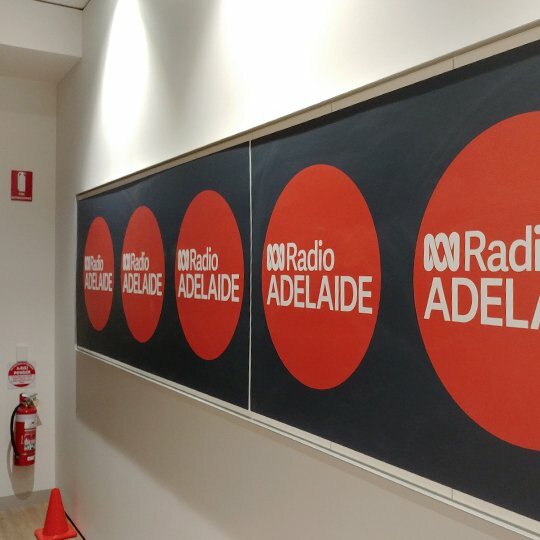 Interviews with Radio Adelaide and ABC Radio Adelaide about the exhibition can be found here. 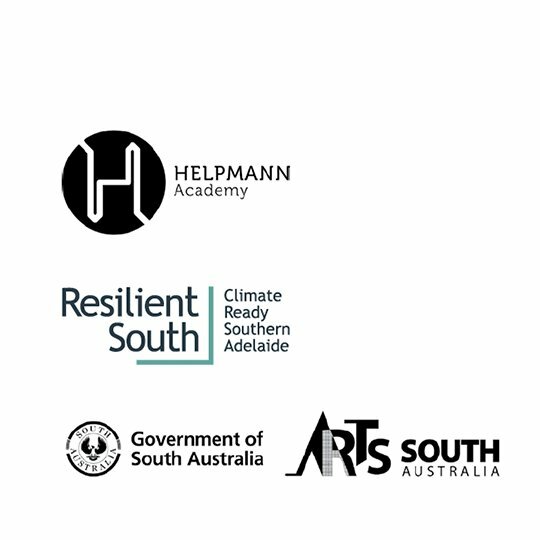 Arts South Australia, the City of Onkaparinga and the Helpmann Academy. 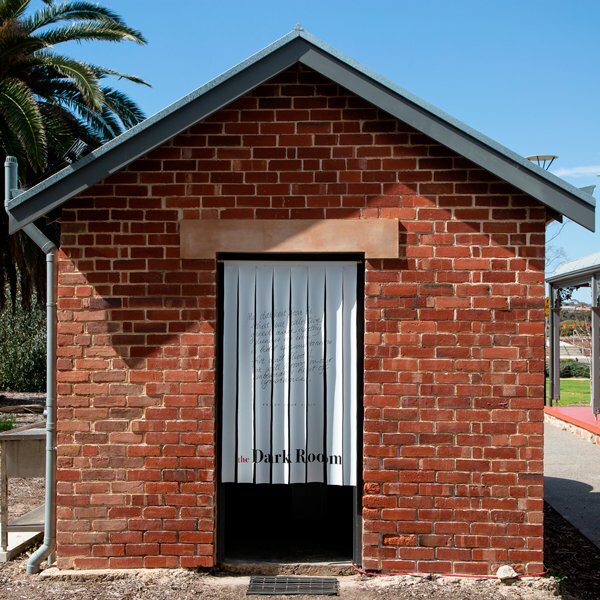 the City of Onkaparinga and their Sauerbier House Artist in residence program. Jaynie Langford and all of the wonderful volunteers. Nina Keath and the Sustainability Team. Suntrix Solar for the loan of the Thermal Imaging Camera and the volunteers who donated their time for portraits and those who contributed their darkest fears and brightest hopes. Venture into the Guildhouse office in the West End to see a small selection of my photography on display now until Feb 1st. 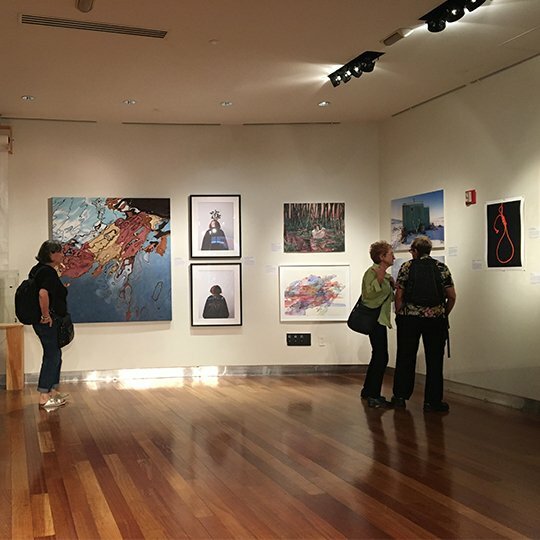 Three works are from the recent Filter exhibition and others have been exhibited previously in the 2018 Adelaide Park Lands Art Prize and the 2016 SALA Festival. More details on the Guildhouse website. NB. Don’t be afraid. The office image above is not of the Guildhouse office, but an image I took of the now demolished Her Majesty’s Theatre. 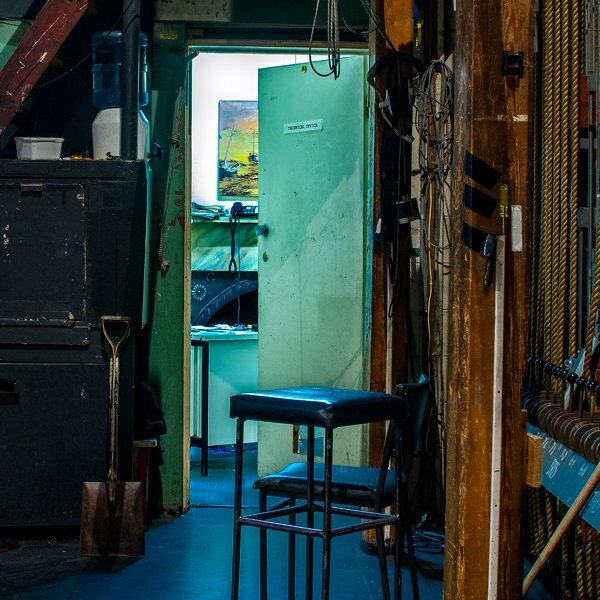 The Theatre Manager’s office backstage. The 2018 Creative Climate Awards presented by the Human Impacts Institute have come to a close for another year. 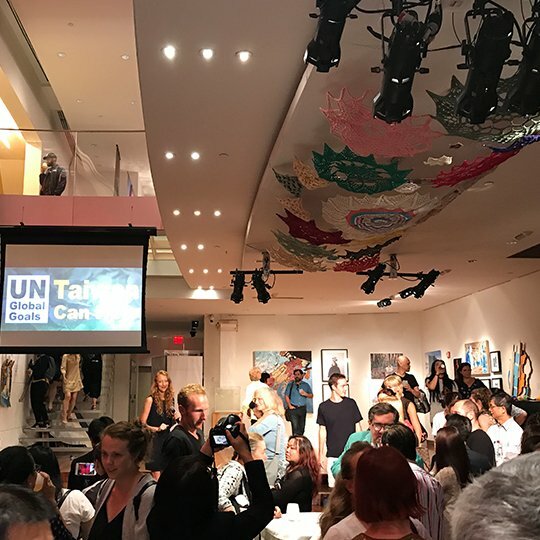 36 International artists were exhibited over several floors of the Taipei Economic and Cultural Office in New York from 17 September to 12 October, 2018. I was really happy to be a part of it even though I was unable to travel from Australia. 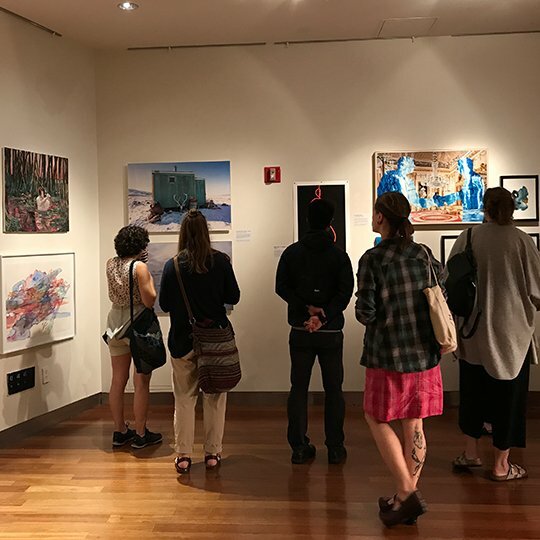 You can still browse the work exhibited at Human Impacts Institute webpage. Works were for sale to contribute to the operations of the Institute and I am pleased to report that my work, How did it come to this?, was purchased and I have donated 100% of the sale price to them. 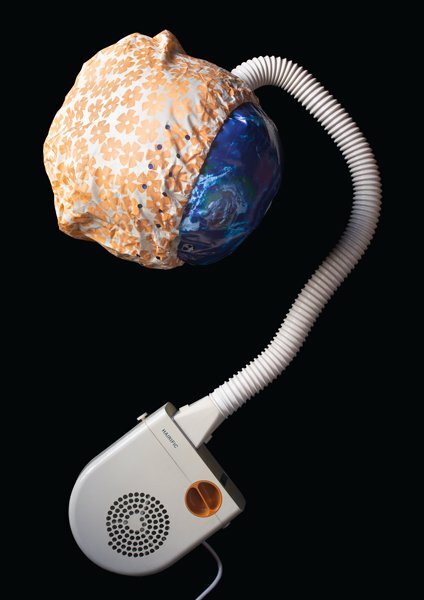 The winner of the 2018 Creative Climate Award was Tatana Kellner with her work Poisoned Well. Images and details of this work on her webpage. A selection of images above are from the Opening night and are reproduced courtesy of The Human Impacts Institute. 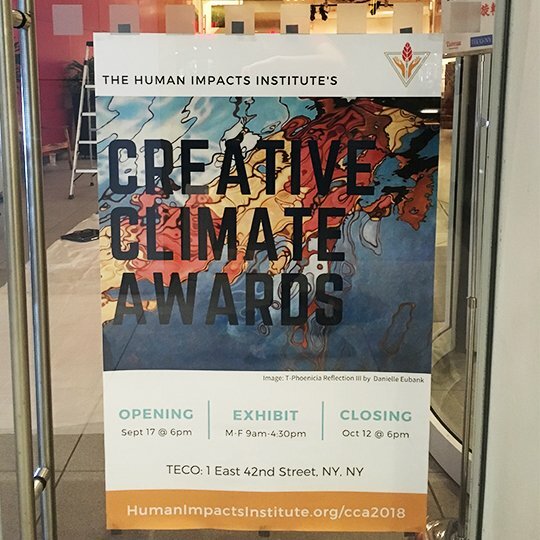 If you are not able to see the 2018 Creative Climate Awards in New York in person, the Human Impacts Institute have now posted all artists works online. I am very happy to see that my work has sold with 100% of proceeds going to the Human Impacts Institute to support their future initiatives. Have a look at their web page to see work by the 36 international artists featured in the exhibition. Go to website. The exhibition runs until 12 October, 2018 at the Taipei Economic and Cultural Office, 1 E 42nd St, NY, NY. My solo exhibition developed as Artist in Residence at Sauerbier House will be launched on 22 September, 2018. The launch event will be held between 1.30pm and 4.00pm at Sauerbier House Culture Exchange, 21 Wearing St, Port Noarlunga, Adelaide. 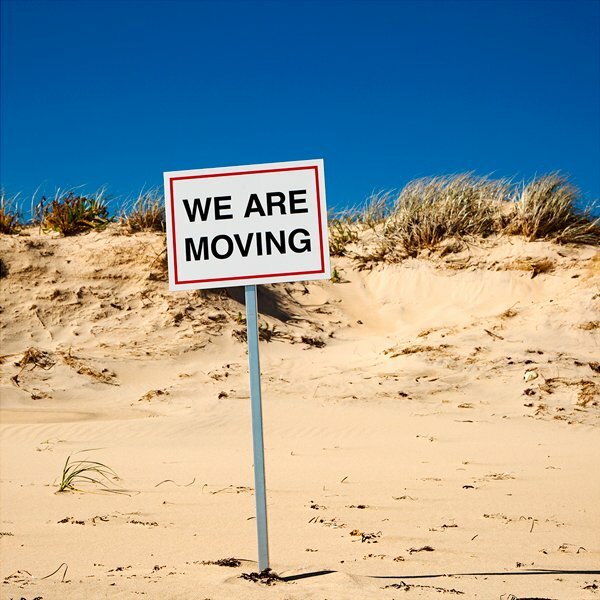 On the day there will also be a new exhibition by photographic artist Alice Blanch, music by Womadelaide 2018 artist Naomi Keyte and guest speaker street artist Peter Drew. An exhibition catalogue will be on sale at the Gallery with proceeds going to the Southport Surf Life Saving Club where I was a member as a child. I commenced the residency on 3 July and have enjoyed immersing myself in the coastal environment of beaches, dunes and cliff walks. Developed as part of the 2018 Shimmer Photographic Biennale the exhibition incorporates many styles of photography including abstract, studio, thermal imaging, black and white landscape and more. The size of the works vary greatly too with some the size of your hand through to others over two metres wide. The work is focussed on the impact of climate change on coastal environments with rising sea levels and coastal erosion at the forefront. For a community engagement component of the residency visitors to the gallery were invited to make anonymous contributions about their Brightest Hopes and Darkest Fears in relation to climate change. Their thoughts will be shared in various presentation methods woven through the exhibition. All welcome. The exhibition runs through to Saturday 27 October. Gallery hours are Wednesday to Friday 10am to 4pm and Saturdays 12pm to 4pm. I am very pleased to announce that I have a work selected as a finalist in the 2018 Heysen Prize for Landscape. Artists were encouraged to express their connection and concern for the Australian environment. 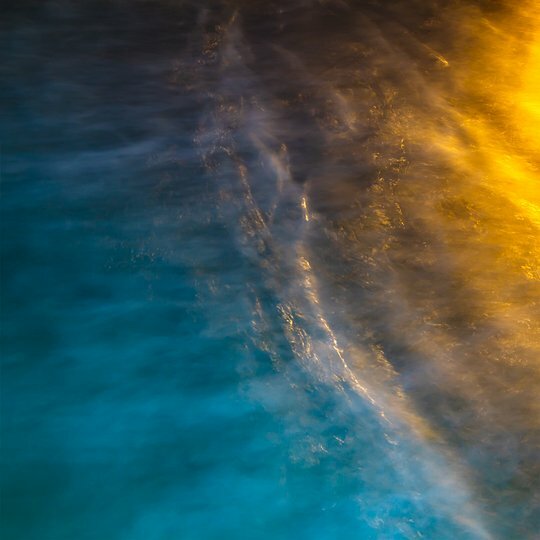 A new piece will be exhibited in this exhibition amongst over 50 others while my exhibition at Sauerbier House will display some similar work at the same time during the Shimmer Photographic Biennale. 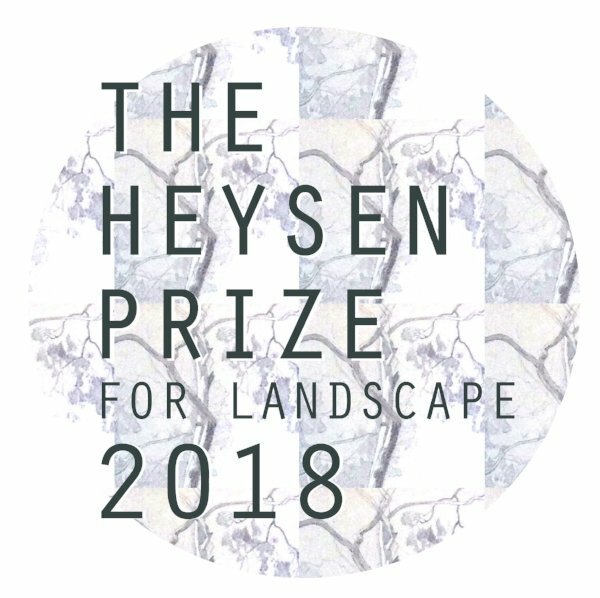 All welcome to attend the Heysen Prize exhibition opening at Hahndorf in the Adelaide Hills on Saturday 6 October at 6pm where Lisa Slade, Co-Acting Director of the Art Gallery of South Australia will announce the winner of the $15, 000 prize. The exhibition will be on until 9 December, 2018. Go to the Hahndorf Academy website for more details. 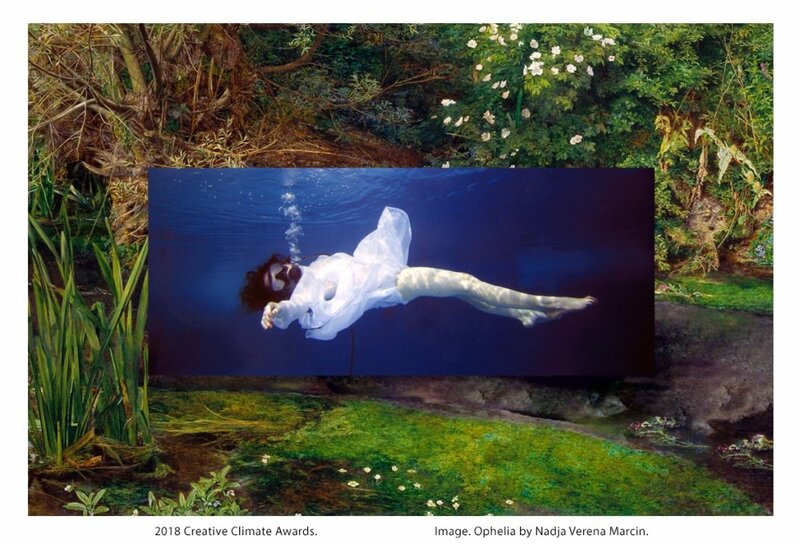 It was exciting to learn that I was the only Australian selected for the 2018 Creative Climate Awards exhibition to be held in New York this September. Over 37 international artists will be featured in a month long exhibition on 42nd St Manhattan. 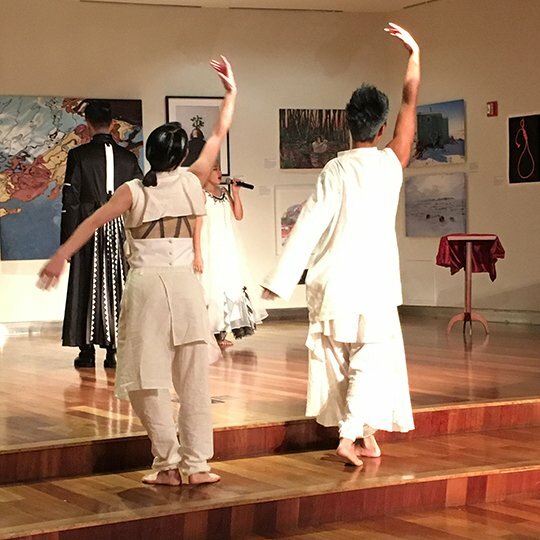 This annual annual series of events, showcase artists creating climate-inspired performances, installations, and exhibits. Presented for the 5th year, the Human Impacts Institute use the arts and creativity to share knowledge, broaden the climate conversation, educate, and incite action. This is will be the second work from my Unleashing Hell series that has been included in a Climate Change specific art award outside of South Australia. The previous work was exhibited in the 2017 Burrinja Climate Change Biennale in Melbourne. Congratulations to all of the artists involved. Images of all works will be displayed online after the event has been launched on 17 September, 2018. A Silent Auction fundraiser will be held at a VIP Preview and I have donated 100% of the sale proceeds to the ongoing work of the Human Impacts Institute. More details at the Awards webpage. Images of work by all artists will be online immediately after the opening event. 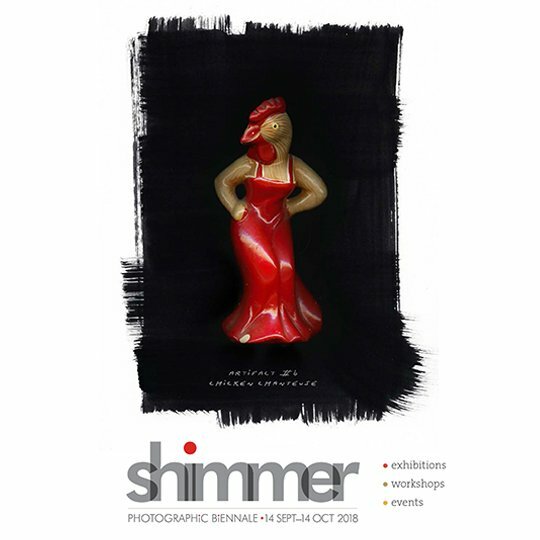 The program has been released for the 2018 Shimmer Photographic Biennale. 13 venues to visit over 4 weeks with work by 35 artists. Look through the program to plan your Shimmer experience from September 14 through to October 14, 2018. 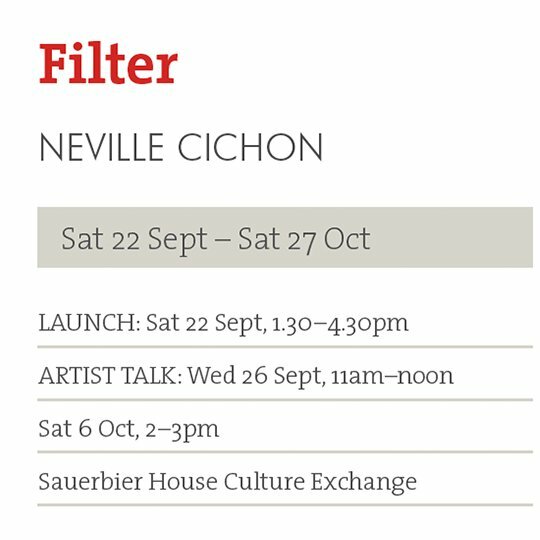 Key dates for my exhibition, Filter, include the official opening on Saturday September 22nd, 1.30pm to 4pm and artist talks (Science in the Picture) on Wednesday September 26th 11am-midday and Saturday October 2nd, 2pm – 3pm. Visit the Shimmer webpage to download the pdf program or view the flip book below. The first week in July marks the commencement of my 3-month artist residency at Sauerbier House, Port Noarlunga. 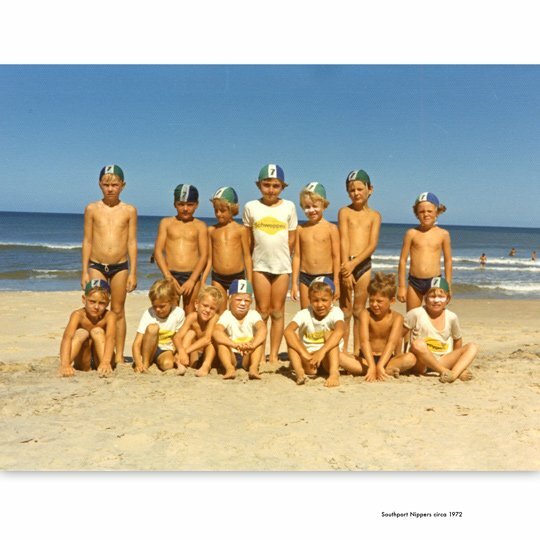 I was a member of the Southport Surf Life Saving Club in the 1970’s (see pic above and the sun smart kid in the back row) and the clubhouse is only a few hundred metres away from Sauerbier House. I look forward to walking around the dunes, Onkaparinga river and beach again as I develop new work for an exhibition that will open on Saturday 22 September. The coastal location has prompted a focus on local flooding and coastal erosion issues with investigation into their relationship to climate change. 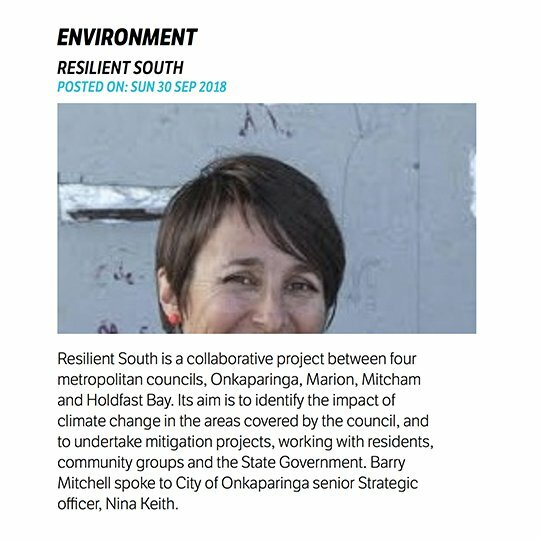 I am collaborating with the Sustainability Team at the City of Onkaparinga and look forward to learning more from them and accessing their vast resources. You are welcome to visit my studio there and say hello or just have a look around at the work-in-progress on display if I am elsewhere. Until the end of August I am inviting visitors to leave an anonymous note to explain their brightest hopes and darkest fears in relation to climate change. I will compile these and use them in someway in the final exhibition. Plenty more updates to come over the next few months. 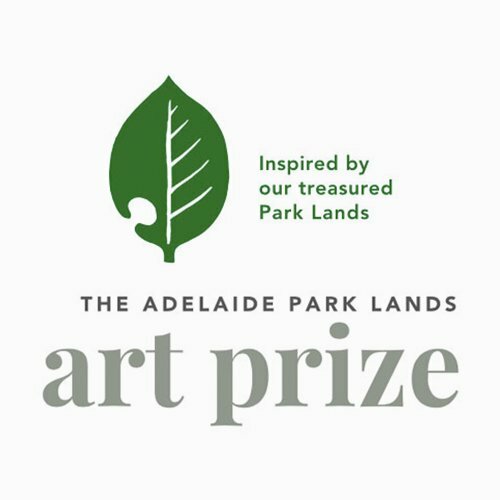 I am very pleased to learn that two of my photographs have been selected as finalists in the 2018 Adelaide Park Lands Art Prize awarded by the Adelaide Park Lands Preservation Association. 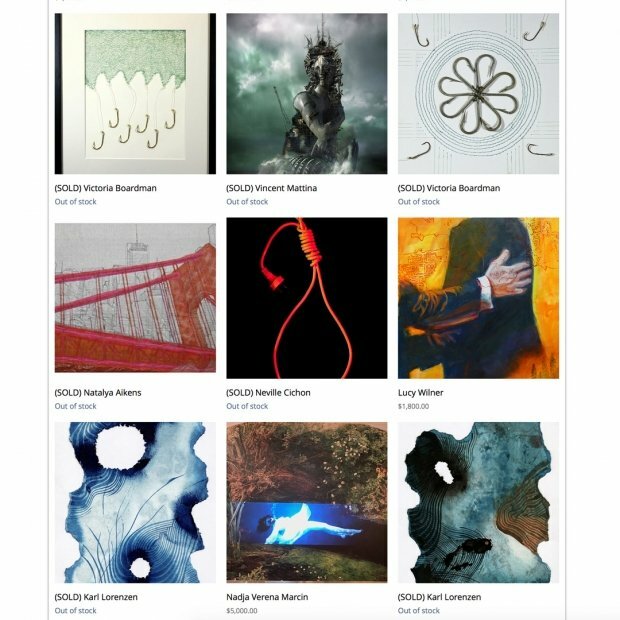 The biennial Prize, established in 2014, enables artists to convey the many facets of the unique Park Lands and it is great to be selected amongst works that the judging panel described as being unconventional and showing a degree of provocation. I look forward to seeing all of the selected works on display in the newly refurbished Adelaide Festival Theatre foyer over the 8 weeks from 4 July until 26 August, 2018. More details at the Adelaide Park Lands Art Prize website. 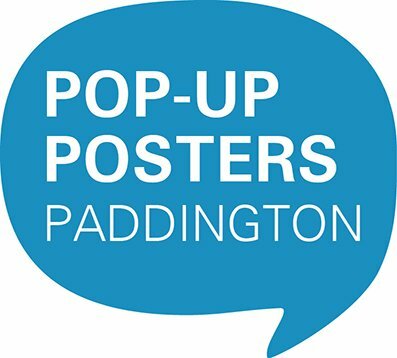 If you are strolling down Oxford Street in Sydney before the end of August near the Town Hall and ‘Paddo RSL’, pop into the Paddington Library to see one of my works from the Unleashing Hell series. 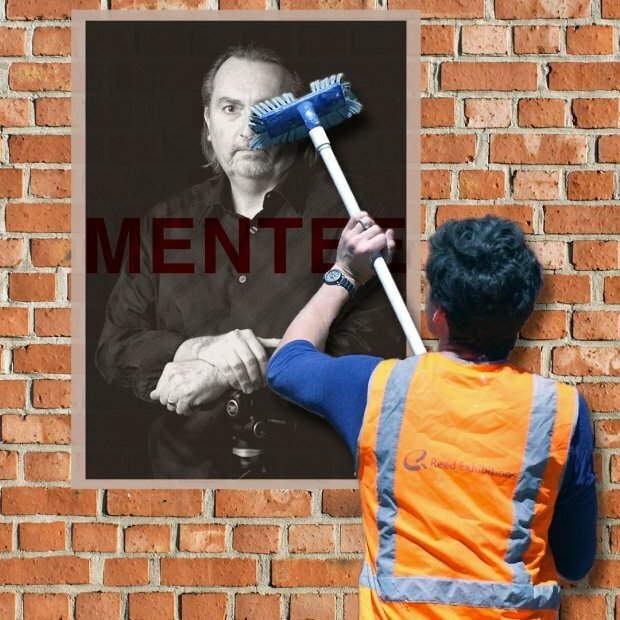 The public art initiative was established to showcase a diverse mix of thought provoking works from around Australia. Visit their website for opening hours.